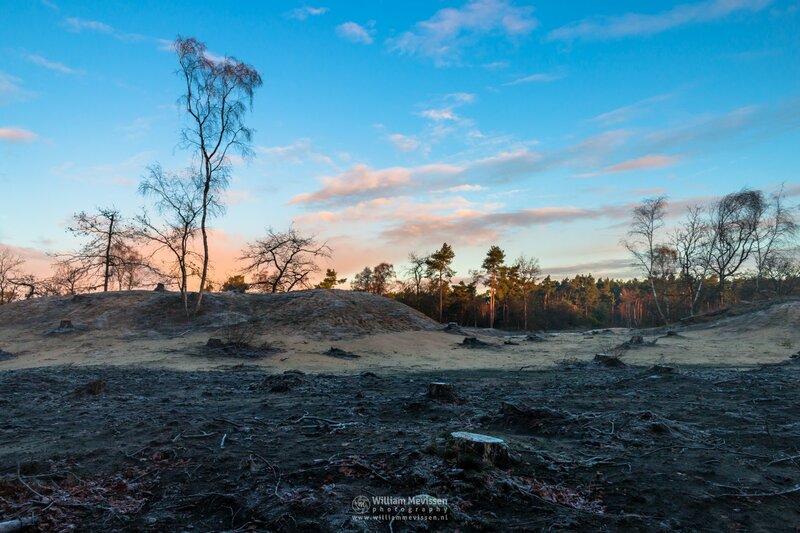 Cold Desolate Land on a cold autumn morning in the shifting sand area of nature reserve Boshuizerbergen (Venray, Netherlands). Click here for more information about photo 'Cold Desolate Land'. Click here for more information about 'Boshuizerbergen'. 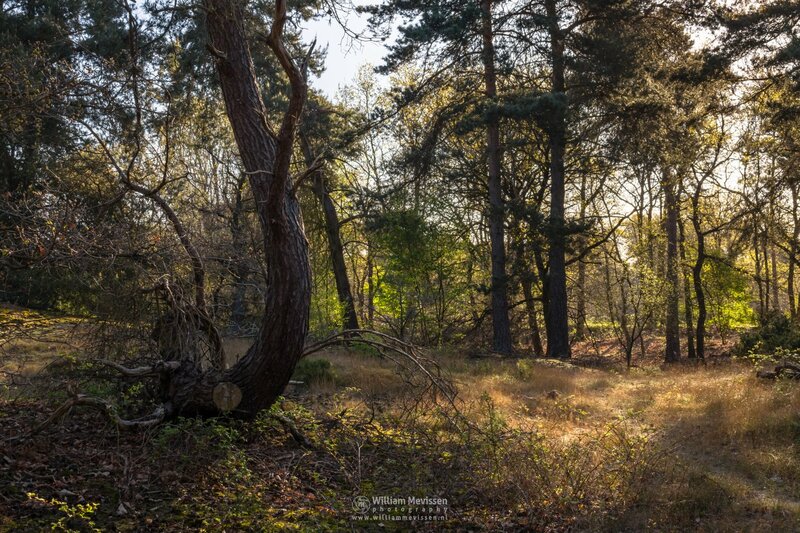 Sunny autumn morning at the forest of estate Landgoed Geijsteren, Venray, Netherlands. 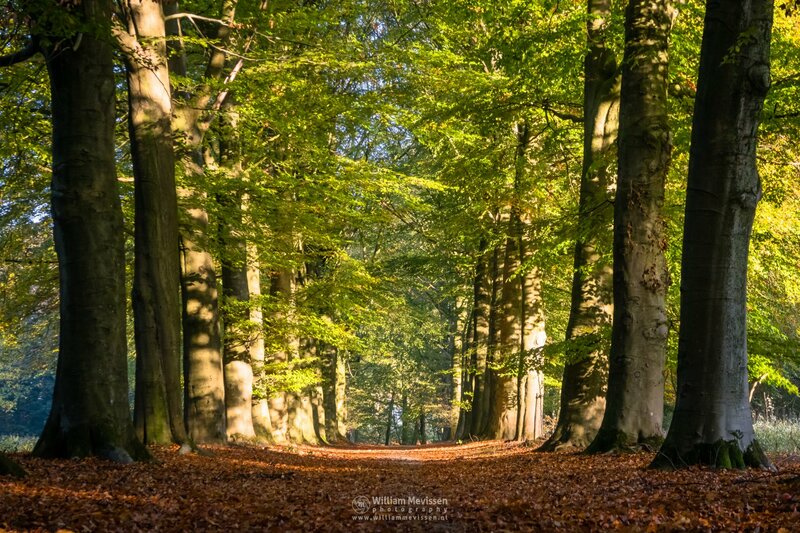 Click here for more information about photo 'Sunny Autumn Beech Trees Geijsteren'. A cold and misty autumn morning near the fen Rondven at nature reserve Bergerheide, part of National Park De Maasduinen, Nieuw-Bergen (Netherlands). 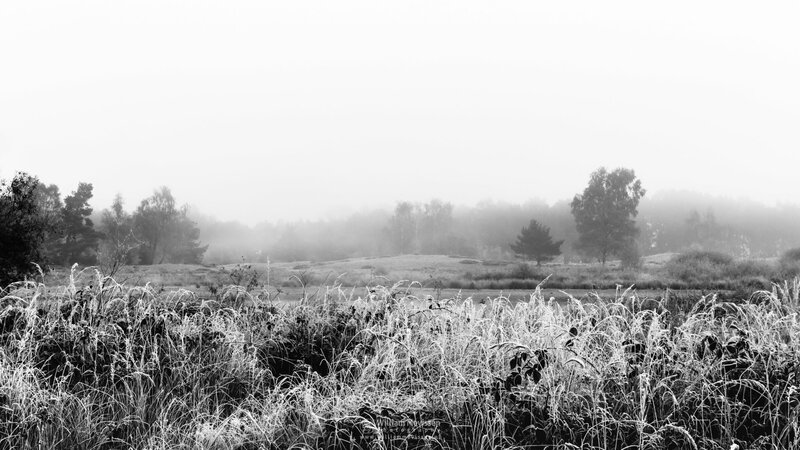 Click here for more information about photo 'Frosty Rondven Bergerheide'. A mysterious morning at the former psychiatric hospital Sint Anna at the St. Annapark (aka St. Annaterrein) in Venray (Netherlands). 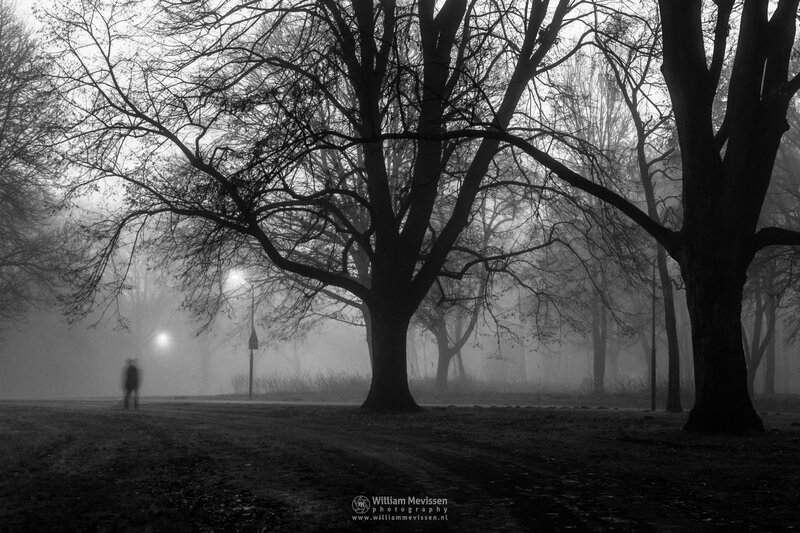 Click here for more information about photo 'Mysterious Morning'. Click here for more information about 'St. Annapark'. Birch tree on a misty and cold autumn morning at nature reserve Bergerheide, part of National Park De Maasduinen, Nieuw-Bergen (Netherlands). 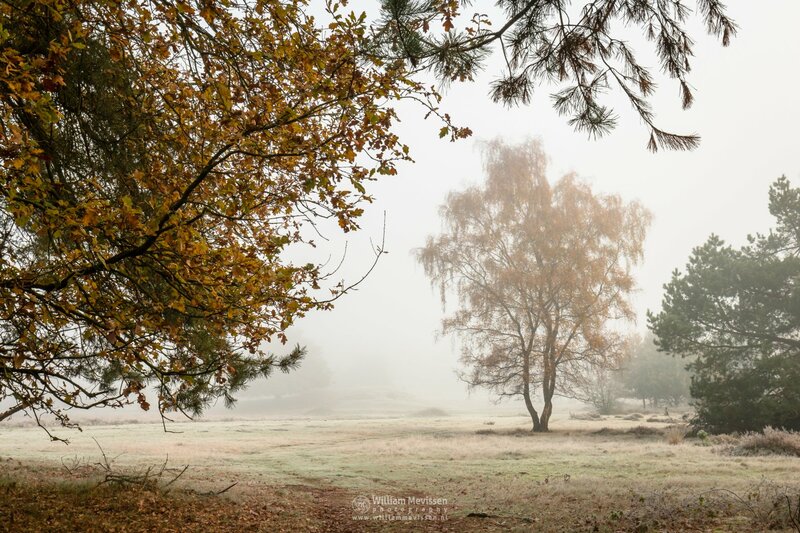 Click here for more information about photo 'Misty Autumn Birch'. 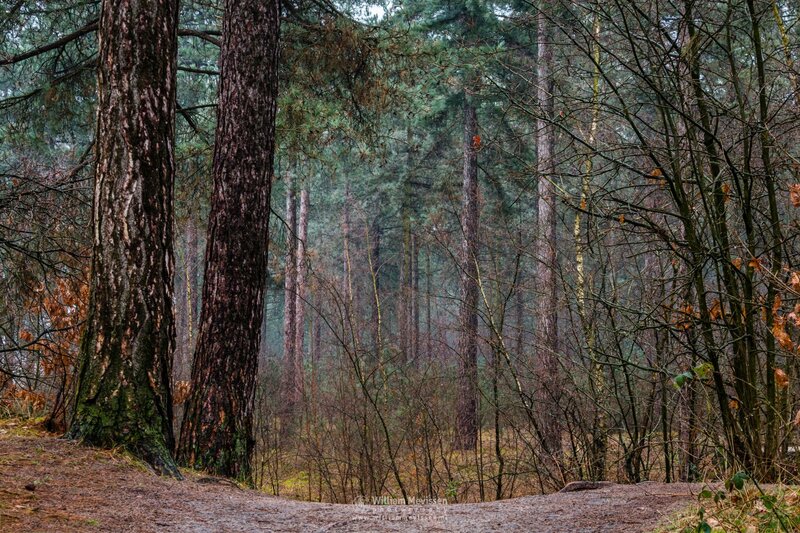 Pine Trees in the forest around lake Reindersmeer on a misty morning. Lake Reindersmeer is part of National Park De Maasduinen in Well (Netherlands). 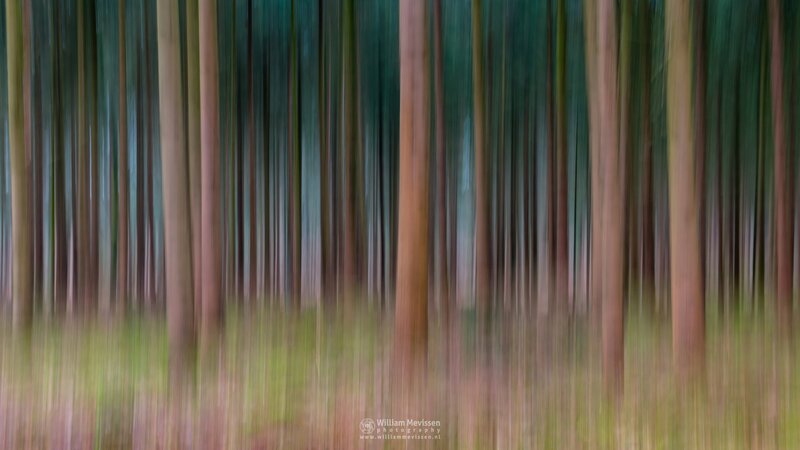 Click here for more information about photo 'Pine Trees'. A silhouette of a tree in the forest Ballonzuilbossen near the village Merselo (Venray, Netherlands). 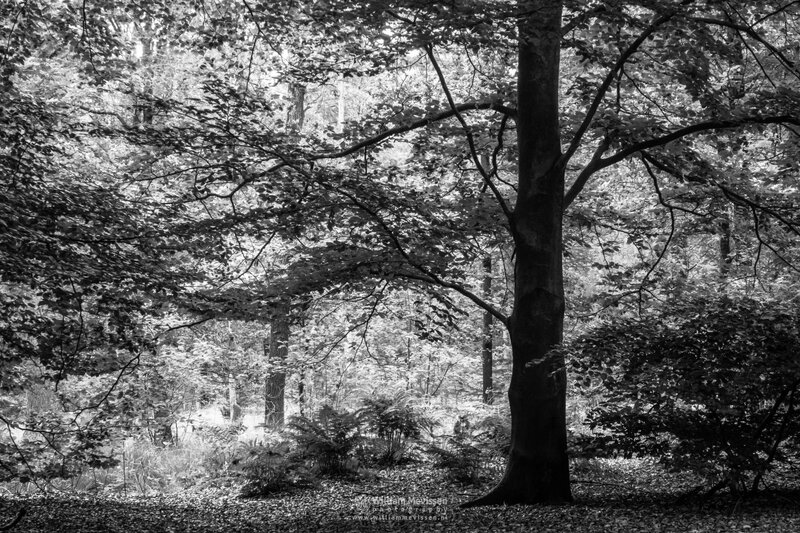 Click here for more information about photo 'A Silhouette In The Forest'. Click here for more information about 'Ballonzuilbossen'. Lines Of Trees in the forest of estate Landgoed Geijsteren in Geijsteren (Venray), Netherlands. 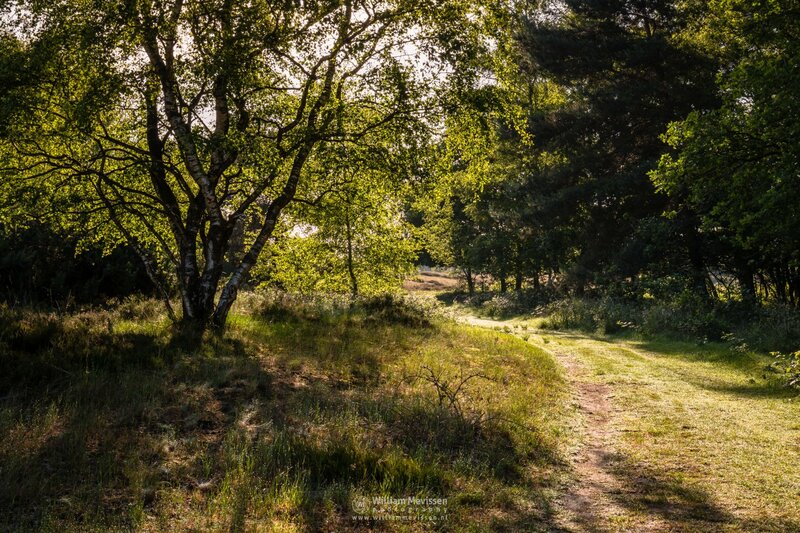 Click here for more information about photo 'Lines Of Trees'. Bended tree in the part of nature reserve Boshuizerbergen (Venray, Netherlands) situated west of the railway line between Venlo and Nijmegen. Click here for more information about photo 'Bended'. Click here for more information about 'Boschhuizen'. 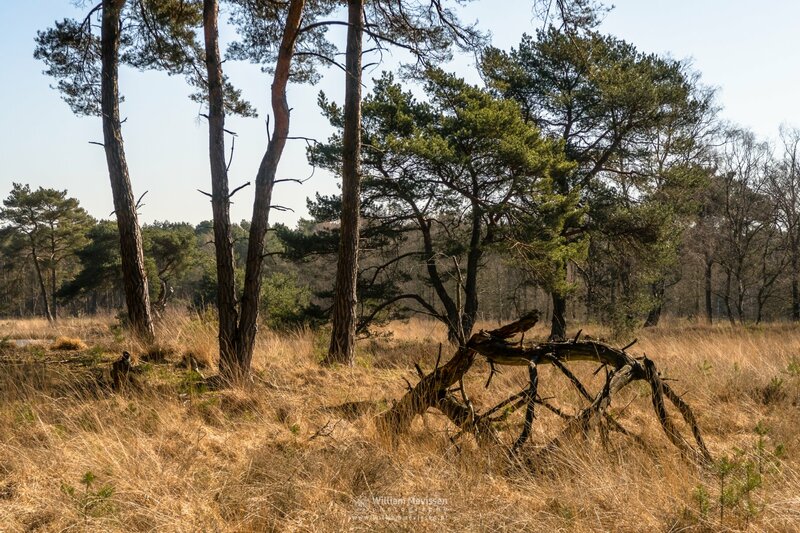 Tree trunks and branches on a beautiful sunny spring morning at nature reserve Ravenvennen - part of National Park De Maasduinen - in Lomm north of Venlo (Netherlands). Click here for more information about photo 'Tree Trunks And Branches'. 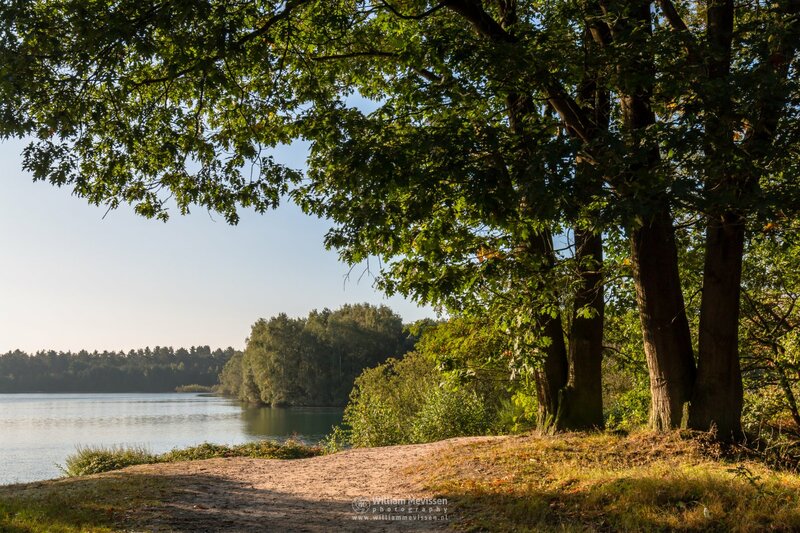 A sunny morning at lake Reindersmeer in National Park De Maasduinen, Well (Netherlands). Click here for more information about photo 'Sunny Trees'. A sunlit birch at nature reserve Bergerheide, part of National Park De Maasduinen, Nieuw Bergen (Netherlands). Click here for more information about photo 'Sunlit Birch'.